"Bringing happiness to Hawaii with cleanliness"
There's a difference between a home and a house. A home belongs to you and your family. It has meaning, memories, belongings, and emotion. It's a "living" thing. It's where you live. A house is just an inanimate object. Hawaii House Cleaners is HI's finest professional home and house cleaning service. Cleaning Hawaii homes for decades, we have built a reputable state-wide cleaning service for a wide variety of cleaning services. 1. We clean homes. We clean houses and commercial properties alike, like it's our own home. It roots down to the Aloha in our cleaning service. 2. Professional, respectful, integrous...the best Hawaii home cleaners. Call us up, let us know what you need cleaned, and we'll take care of the dirty work for you. 3. We service state-wide island-wide for a wide range of cleaning services. From carpet cleaning, kitchens, bathrooms, windows, to offices, rental units, rental properties, to commercial cleaning needs. 4. You don't get what you paid for. We over deliver! We offer relatively competitive rates and pricing. But, we will never compromise for our reputable quality cleaning service that we have built throughout the years. Call us today at (808) 425-9145 and we'll get you reserved for a cleaning in minutes. 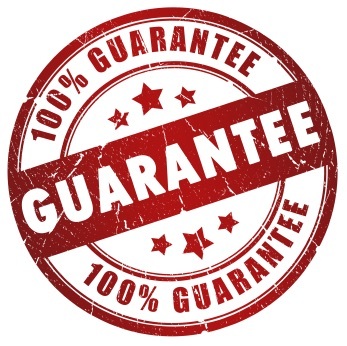 Or fill out our clean form and we'll get you your FREE quote within 24 hours guaranteed! As you can see, or you'll find out, we're not your typical cleaning service. We do it with classy cleanin' passion. Find out why we're Hawaii's finest house cleaning service! How To Hire A Hawaii House Cleaner? We are here to serve you. Whatever house cleaning services you need, we can help. Contact us at (808) 425-9145 or via the FREE INSTANT QUOTE form on this page. Let us know what type of cleaning services you will be needing. From a scale of 1-10 (1 being low), how dirty is your property? When will you need the cleaning done? What is the address of your property? (If you would like us to service your home). That's about it! Simple. All you have to do then is do nothing at all. We'll take care of the rest! We are here to provide our services to help make your life easier and free up your time to do what you love to do most. Call us today at (808) 425-9145 to set up your Hawaii cleaning service today!